Growing concern about our financial future and the impact of the debt crisis has prompted Utahns to take action. Through Financial Ready Utah, this group aims to prepare and reduce the effects of the aftershock that are a consequence of the inevitable financial earthquake. 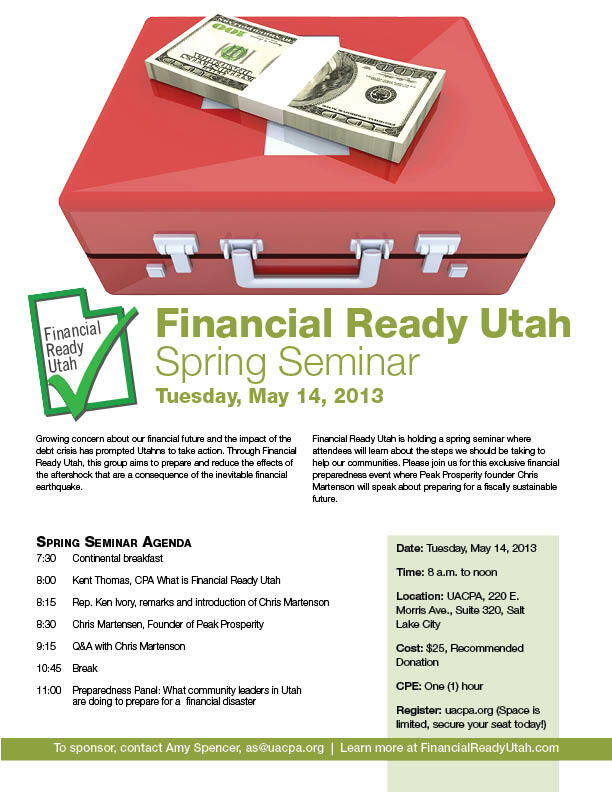 Financial Ready Utah is holding a spring seminar where attendees will learn about the steps we should be taking to help our communities. Please join us for this exclusive financial preparedness event where Peak Prosperity founder Chris Martenson will speak about preparing for a fiscally sustainable future.